To start you will first need to visit the LinkToHealth website where you will be prompted to log in using your username and password. If you are having trouble with your password you may reset it or contact OSUHP Customer Service ((614) 292-4700). If you have not registered for your account previously, please see Duo - Registration Setup. Start by clicking the Add a New Device link on the left hand side of the frame. If you cannot click Add a new device, you may have turned on an optional feature during the set up process that can cause issues. 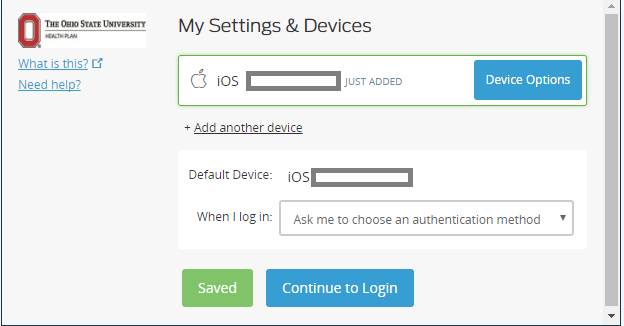 Please see Duo - Manage Devices & Settings for details. Preferred options are mobile phones or tablets capable of running the Duo Mobile App as there is no associated cost to the university. Please see Duo - Installing the Duo Mobile App. Next in line would be to select Mobile phone and enroll a basic cell phone (non-smart phone without the app) number whereby you will be able to receive texts (preferred) or phone calls to pass through authentication. Finally, in the absence of a mobile phone or tablet, it is possible to enroll a Landline. When using the Mobile phone option, you will be presented with a screen requesting the phone number of the mobile phone you would like to register to your account. 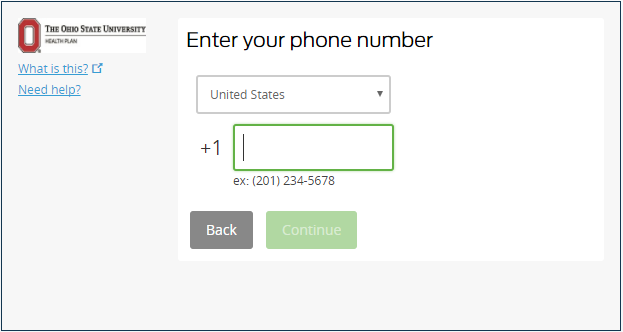 You will need to enter the complete phone number and check a box confirming that the number is correct. Then click the Continue button. Most of the options are common smart phone options and you will need to choose the operating system that your phone uses. Other is used for non-smart phones, like a basic flip phone that does not offer text messaging. 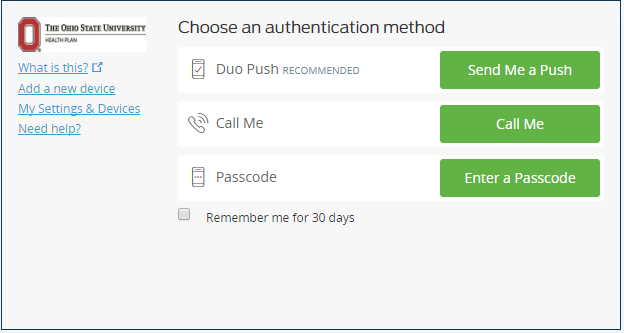 Choosing this option, you will need to enter your phone number but you will not be prompted to install the Duo Mobile app. 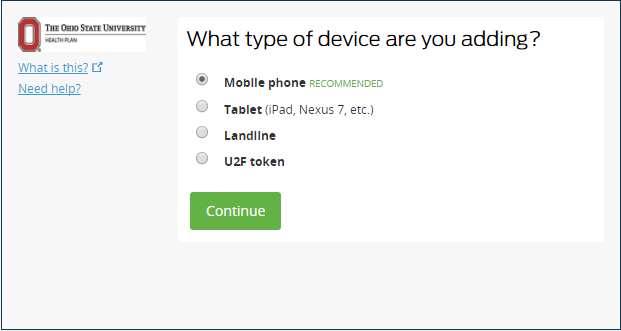 Select the appropriate radio button and click the Continue button. At this point you will be prompted to install the app on your phone. 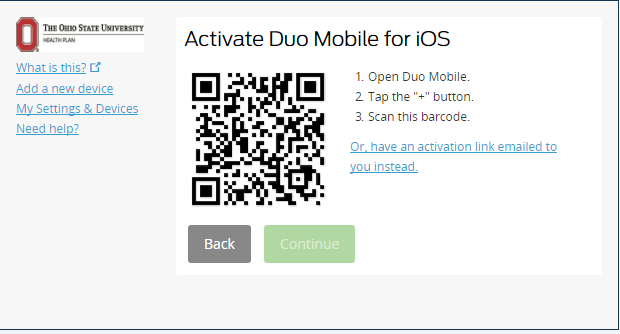 Please see Duo - Installing the Duo Mobile App. The screen you see may vary depending upon OS type that you selected previously. Once you have successfully installed the mobile app you can click the I have Duo Mobile Installed button to move forward. You will then be prompted to scan a QR Code to complete the process. Open the Duo Mobile app on your phone and scan the code. Once the QR code is scanned you can click the Continue button to move forward. The next screen is your Devices and Settings screen. This is where you can manage and change the settings on your device. You will notice there is a check mark in the upper right corner that says Automatically Send me a: with the option of selecting a Duo Push or a Phone Call. If you check this box you will find that turning it off or attempting to get back into the settings becomes difficult. It is recommended that you do not turn it on. If you have turned it on and need assistance in turning it off please see Duo - Manage Devices & Settings. For details on Device Management please see Duo - Manage Devices & Settings. Once you have made all settings you can click the Continue to login button. You will be presented with your default screen with the ability to have a password generated. Choosing the tablet option will require you to specify the operating system type of your tablet. 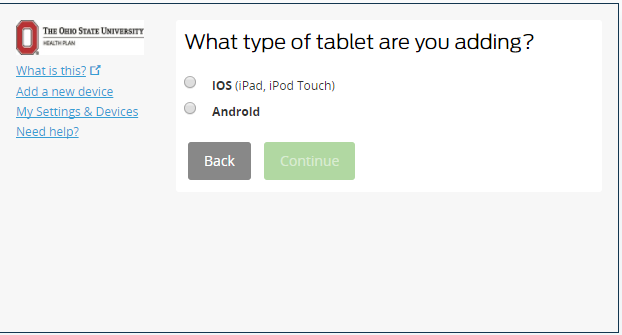 First select the Tablet option and click the Continue button. Start by choosing iOS or Android and clicking the Continue button. The next screen will prompt you on installing the app onto your tablet. 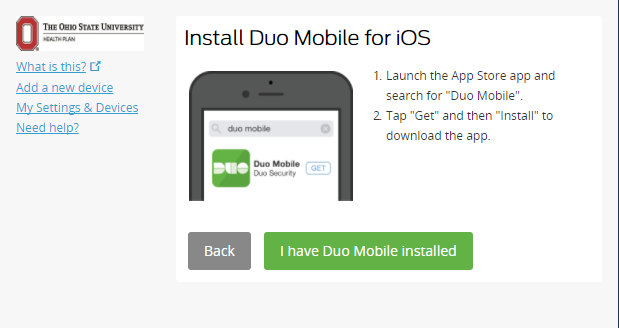 If you have not installed it please see Duo - Installing the Duo Mobile App. Once the application is installed on your device click the I have Duo Mobile Installed to move forward. You will then need to use your tablet to scan the QR code and confirm the device registration. Once the QR code is scanned properly you will be able to click the Continue button to move forward. The next screen is your Devices and Settings screen. This is where you can manage and change the settings on your device. You will notice there is a check box in the upper right corner that says Automatically Send me a: with the option of selecting a Duo Push or a Phone Call. If you check this box you will find that turning it off or attempting to get back into the settings becomes difficult. It is recommended that you do NOT turn it on. If you have turned it on and need assistance in turning it off, please see Duo - Manage Devices & Settings. 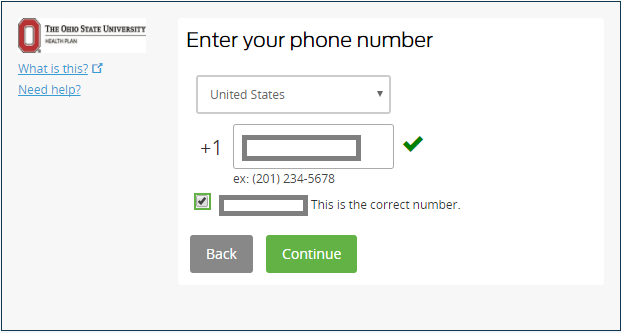 To set up a landline option start by selecting Landline and clicking the Continue button. This will bring you to a screen where you will need to provide the landline number you would like to use. 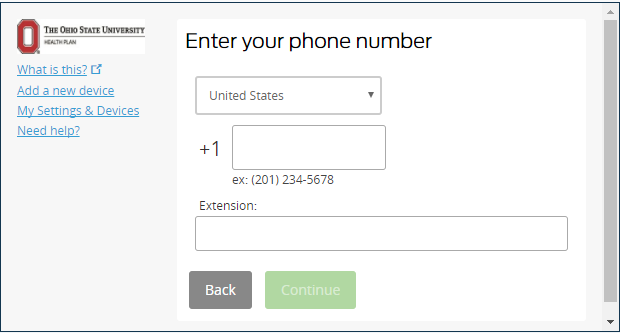 Type in the FULL phone number and any necessary extension and click the Continue button. You will need to put a check mark in the box confirming you entered the correct number before you can click the Continue button.